What a better way to kick off blogging again than with a giveaway!! 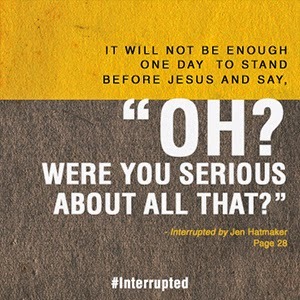 If you know me, you know I'm a fan of Jen Hatmaker (author, speaker, church planter and more). I'd say over the last couple years I could now say I'm a friend of Jen Hatmaker. About 5 years ago I was reading her book "Interrupted". I resonated deeply with what I was reading. I underlined it, flagged it, talked about it, kept talking about it to Jason and finally said, "Man I wish I could sit and have coffee with her and pick her brain because I so relate with things she is saying." Fast forward a couple years and I've had many opportunities to hear her speak and then even more meaningful, share hour long conversations with her. I've shared my stories with her and gained insight from her and we've found overlap in several parts of our own stories of faith. She is down right sarcastic and cracks me up! That's my favorite. To be able to give depth and yet allow room for full on laughter is so refreshing to me. 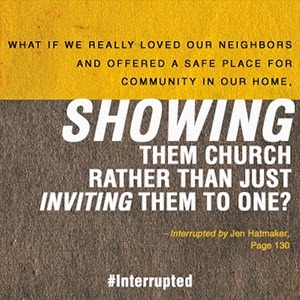 Jen recently just revised and expanded her book, Interrupted. She says, "This is the story of my heart. If there was a prequel to my book 7, this is it. Of all previous books I wished had a wider readership, this is number one by a million miles. Primarily because this is the current, urgent conversation in our generation. 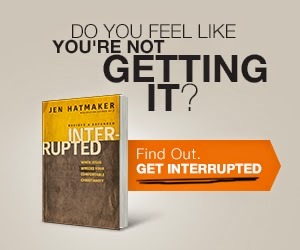 If you just buy one book of mine, forget that bestseller 7, Get Interrupted." 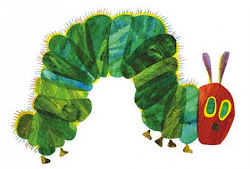 It's a book that will challenge you. Make you think outside the box. And make you ask yourself some great questions. I don't know about you but I'm a person of passion. I want the things in my life to matter. I don't need just another thing to attach to my long to do list. I believe that the "Good News" (the bible) is exactly that -- GOOD NEWS! I don't know if we really display our faith as "good news". I'm excited to read it again with new revised and added parts. I hope my heart is too! From NOW till July 31 (not much time left) you can also get 20% off the book if you order through NavPress. Follow this link to get your 20% off copy. Here's how you can win . . . . answer this question in my comments section. In your community, what would make the GOOD NEWS seem good again to people watching the church? For a second chance to win you can link this blog post on Facebook or your blog. Leave me a separate comment letting me know you did that and you will be entered again. I will draw for the winner on August 7th! This is also the day Jen's mini series airs on HGTV and the day she turns 40! So again . . . tell me . . . I'll even go first . . . I think the good news would seem good again if we didn't make it seem like a to do list or an obligation. I think we have to show genuine love for each other regardless of differences. We have to demonstrate freedom. But even more so I think people are dying to know Jesus, and he's gotten lost in our programs and "moral" living. I think living the Good News would help. Truly putting out the welcome mat. Getting over our fears and opening our hearts to those around us. Hope you guys are doing well! Miss you! I ordered mine last month when she talked about it on her blog. I can't wait to read it!